Hello, everyone! I hope this post finds you enjoying your Sunday, relaxing and recharging for the upcoming week! Tomorrow I start my “sort-of” senior year of college. I’m a girl who loves, loves, loves school, so I’m practically jumping for joy at the thought of hitting the books again. I have also just finished my last college volleyball preseason–it was a week of three practices a day, including conditioning and weights, and I’m proud to say I did it all with a smile on my face. Preseason is always the hardest part of the job, and now I get to work my hardest day-in and day-out to compete and (hopefully) win a lot of games this year. I love volleyball and this past week has gotten me so, so, so excited for the season. I’m hoping this week is also the beginning of something magical. Senior year is ridden with new opportunities to go after the things I want, and I can’t wait to see what this year brings me. Perhaps it will be everything I hoped for and more. Perhaps it will be nothing I expected but wonderful and right. Whatever happens in my life, I hope to attack each day with as much enthusiasm as Joy from Inside Out. Every day has the potential to be a great one, and I intend to try my best to bring out the best in every sunrise to sunset. There might be disappointments along the way, but there can always be a positive twist to every situation. I hope everyone has a happy day, happy week, and a happy school year! Make today–and everyday–a great and joyous one. 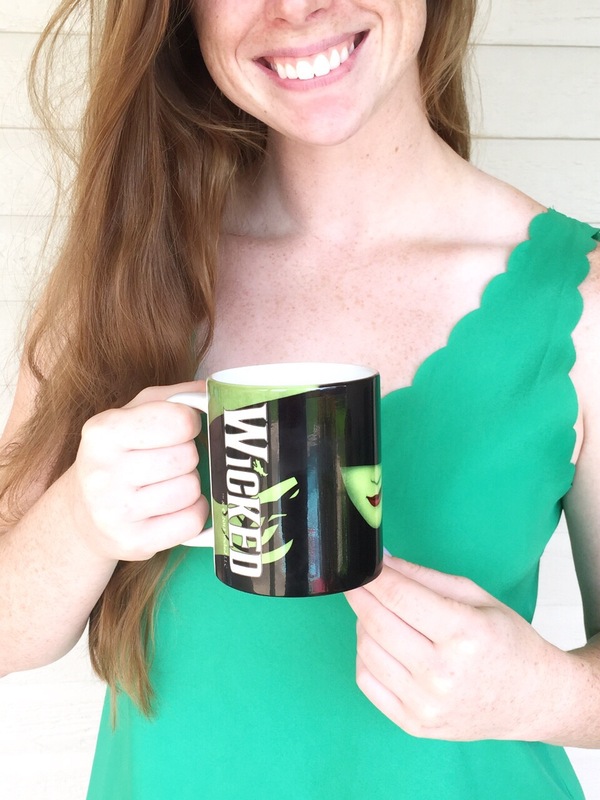 Any other Wicked fans out there? I absolutely love it. I’ve seen it twice as it has made its way around the country on traveling tours, and I can’t ever get enough. The soundtrack is wonderful, and the morals we can learn from this musical are superb: “good” isn’t always good, and “wicked” isn’t always wicked. Not everything is as it seems, and we must be smart enough–be good enough–to recognize this. It’s also all about harnessing your inner strengths, and learning to “defy gravity” with those strengths. I love this. I’d like to think I’m through “accepting limits” because someone, or society, holds them in place. I also love how this quote is about making the decision to try, something I think is so important. No, we cannot change everything, but until we try we can’t ever know. I hope everybody has a “wickedly” wonderful day. Remember, try “defying gravity” each and every day, and always remember to travel by bubble. 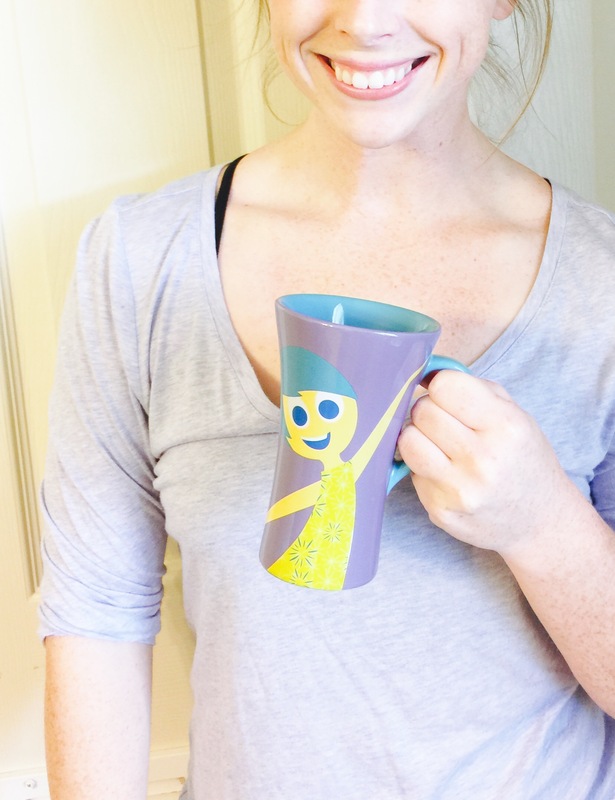 Happy “Mug Shot Monday!” I love the idea of starting off the week with a good cup of coffee in a happy little mug. 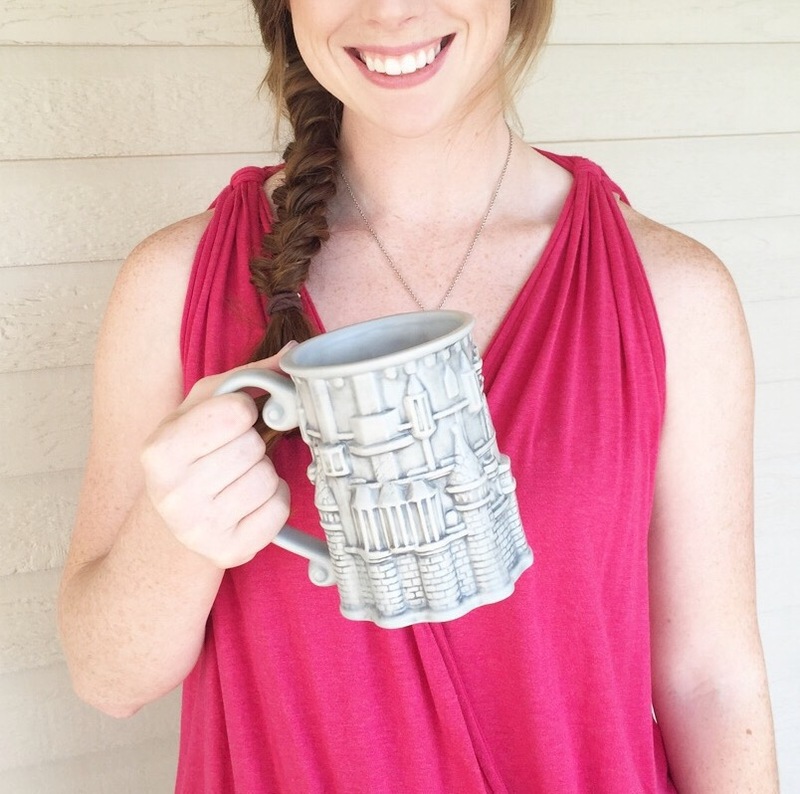 I love this Cinderella castle mug–I got it for only ten dollars on the Disney Store website! It’s gorgeous and reminds me of Cinderella’s greatest attributes–optimism, kindness, and courage. What a wonderful way to start the day. Who doesn’t love a good dose of Cinderella’s dreams coming true? 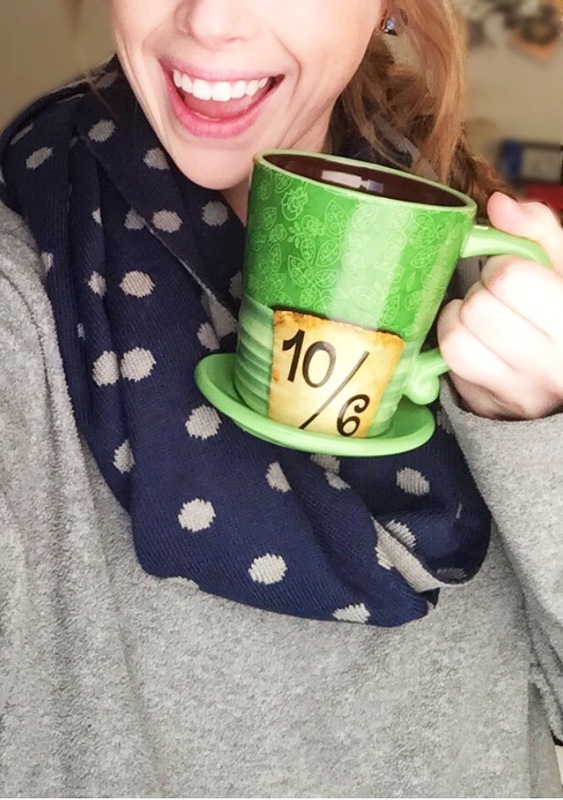 The castle is a symbol of her dreams becoming a reality, so this mug is a wonderful tool perfect for visualizing your own dreams coming true. Visualizing is key, my friends. Picture what you want, work for what you want, and then bask in your success. And if that success doesn’t come, know that it is ok. “A dream is a wish your heart makes,” and your heart can never run out of dreams. Have a magical monday, everyone! 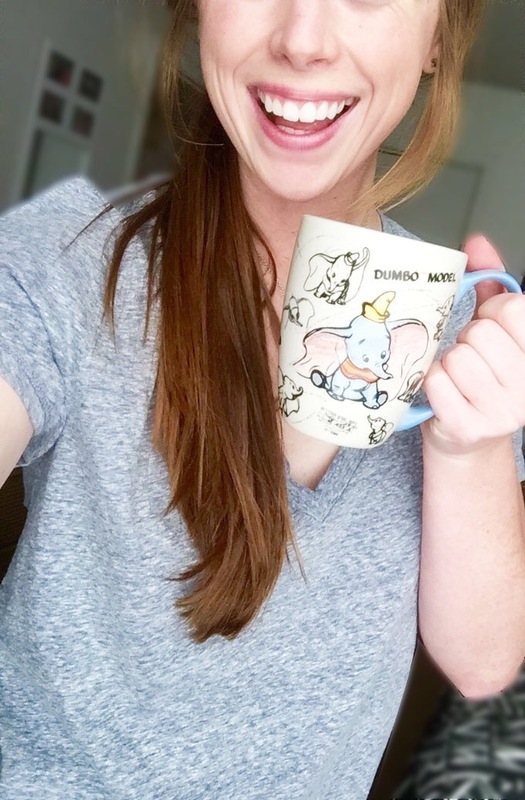 Who doesn’t love Dumbo, the little elephant with the biggest heart and ears you ever did see? It’s impossible not to love the little guy and his story–ridiculed from the start because of his ginormous ears, Dumbo finds success and happiness when he discovers his hidden talent to fly, to soar. He just needs a little encouragement from Timothy the mouse, and then he’s up, up, up and away, soaring above all the naysayers and meanie heads. Dumbo finally learns to believe in himself, and the rewards are endless. Dumbo inspires me to let go of my doubt and embrace the things that make me feel insecure. He believed he could fly, so he finally did. It’s about time I take each day head on and believe in my abilities–in time, belief opens doors to opportunities you never thought possible. So, as the sign above the Dumbo ride at Disney World says, “Believe and soar!” Work for what you want and know that you can do it. If it doesn’t turn out the way you plan, always know it’s never to late to pick yourself up and start from scratch. Life is in full swing, my friends. In the first two weeks of school I’ve had a paper due, a test, about a 160ish pages to read, silent films to watch and write about (thanks to Intro to Film), and 6 AM workouts to happily attend. Needless to say, coffee has been absolutely essential these first couple of weeks. Today I bring you the mug I got for Christmas– notice the clever shape… Does it remind you of a certain character? I hope everyone has a marvelously “Mad” Friday! If this doesn’t make you all “merry and bright,” I would be bold enough to dub you a Scrooge. 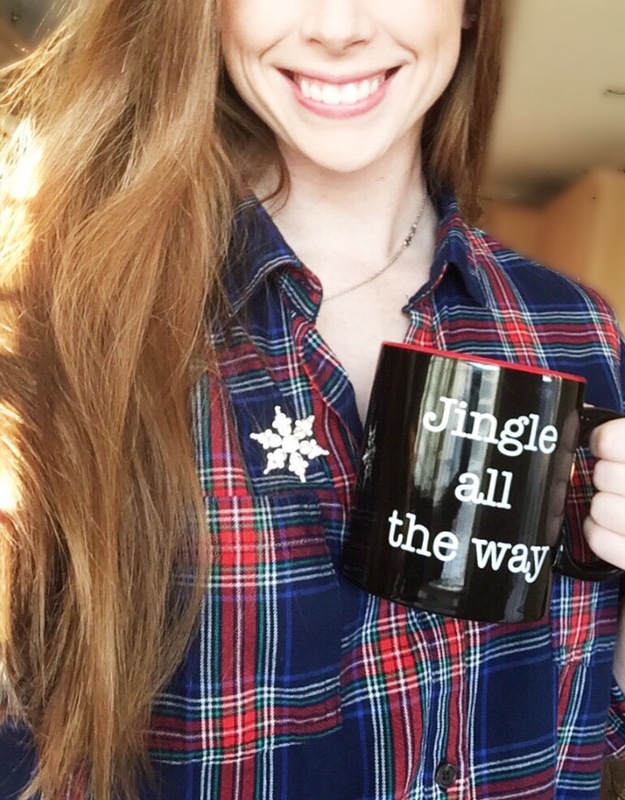 This “mug shot” is short and sweet for a reason–it’s time to be shopping with my grandma, and it’s time to be celebrating CHRISTMAS! I hope every one has a absolutely wonderful Christmas holiday! May your spirits be high and your coffee be strong. 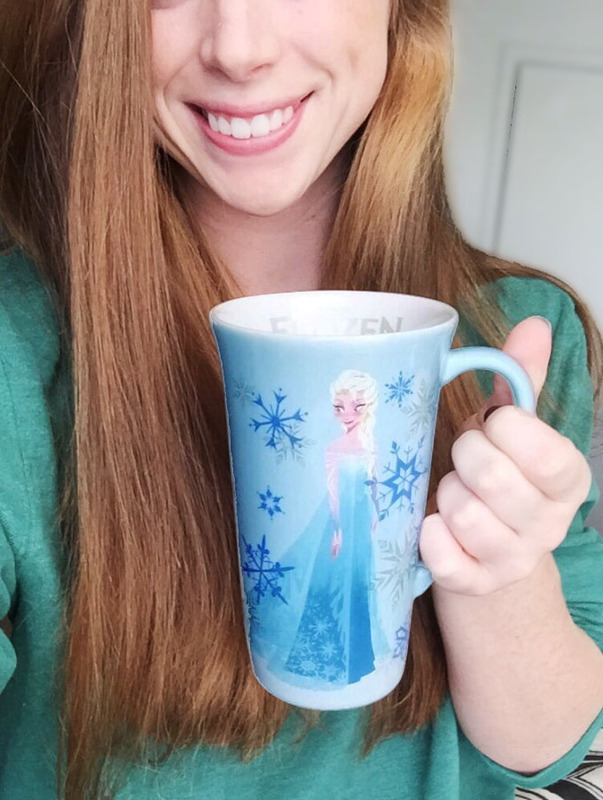 It’s been a week or two since I’ve posted a “mug shot.” Due to the hiatus, I’ve decided to show you guys my favorite–a mug adorned with my favorite Disney character of all time, little miss Elsa. Why do I love her so much? It’s not her ice powers or her gorgeous blue dress or her chic side-braid. It’s not the fact that she was voiced by my all-time favorite voice, Idina Menzel. It’s not her ability to create ice castles and build snowmen. Elsa is my favorite simply because she’s so unsure of herself–afraid to step outside the safety of the castle gates, afraid to hurt her loved ones…she’s just afraid of messing up. I can relate to her so very much. Ever since I was a kid, I’ve had a tendency to strive for perfection. Anything less of perfection was just not good enough. I remember crying in Kindergarten because I put eggs in the wrong tier on a food pyramid work sheet. I’ve always set impossibly high standards for myself. As I’ve gotten older, I’ve gotten better at accepting my imperfections. They make me uniquely and wonderfully me. Just as Elsa learns to “let go” (yes, I went there) and explore all that her powers have to offer, I’m slowly but surely learning that my very deepest self can be set free as well. I thought I’d never have the guts to start a blog, to let my voice be heard. By “letting go” of my doubts, I’ve learned a lot about myself through this process–blogging has become one of the most fun things I’ve ever tried. This is why I love Elsa, people. I can see so much of myself in her–she’s more than just a song and a braid and a dress. I believe Elsa reflects the timid girl in all of us that finally had the guts to break free of her doubts. She’s relatable. She’s powerful. And she can sing. Since I’ve been reliving Gilmore Girls on Netflix recently, I couldn’t help but be blown away at how good the early seasons were. I just love them–oozing with classic Stars Hollow antics and introductions to my favorite Gilmore guy, Jess Mariano. Goodness, I forgot how perfect Jess is! Bad guy vibes abound from his perfectly tousled cool-guy hair, but literature lovers (like me) can’t help but swoon when he can keep up with Rory’s knowledge of the literary canon. He writes in the margins, ladies. No wonder Rory can’t help but leave good-guy Dean in the dust. I never liked him anyway. And the quote mentioned earlier in this charming little post. I hope everyone has enjoyed their Sunday. 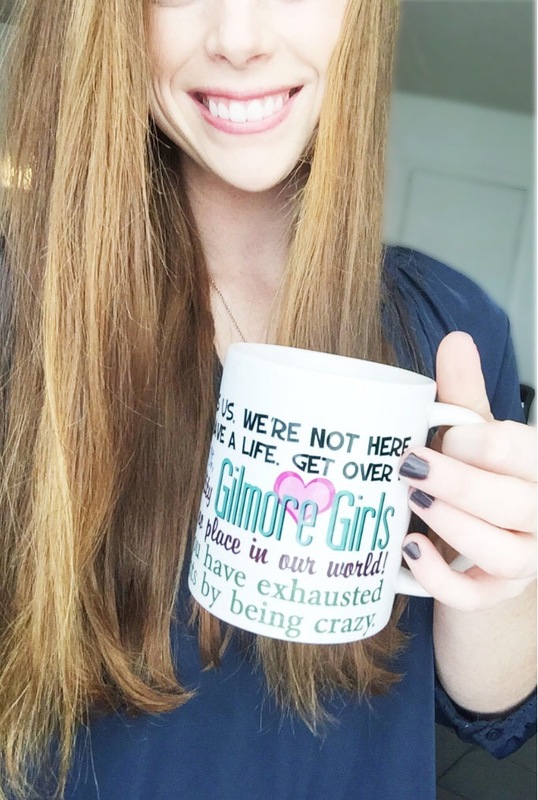 I know I have: coffee and the Gilmore’s, what else could I ask for? When the rain starts to pour. I know everyone knows what theme song to what show I am talking about. That’s right, friends. I am talking about the amazing, the wonderful, the ridiculously funny mecca of all television shows, Friends. This show has seriously gotten me through some pretty big steps in my life–I would watch it every night the summer I left for college to convince myself I could make it on my own like Rachel, Ross, Joey, Candler, Phoebe, and Monica did. I could easily lose my troubles and ease my worries when I watched Friends every night at 10 PM. It’s just such a darn good show. Every one of us can relate to the six characters: I’m OCD like Monica, a little self-centered and materialistic like Rachel, a dreamer and optimist like Phoebe, awkward and nerdy like Ross, sarcastic and witty like Chandler, and just freaking lovable and innocent (one can only hope) like Joey. These characters have helped society (in my humble opinion) embrace the uncertainty of young adulthood and to accept the idea that friends can truly become your family if you let them. 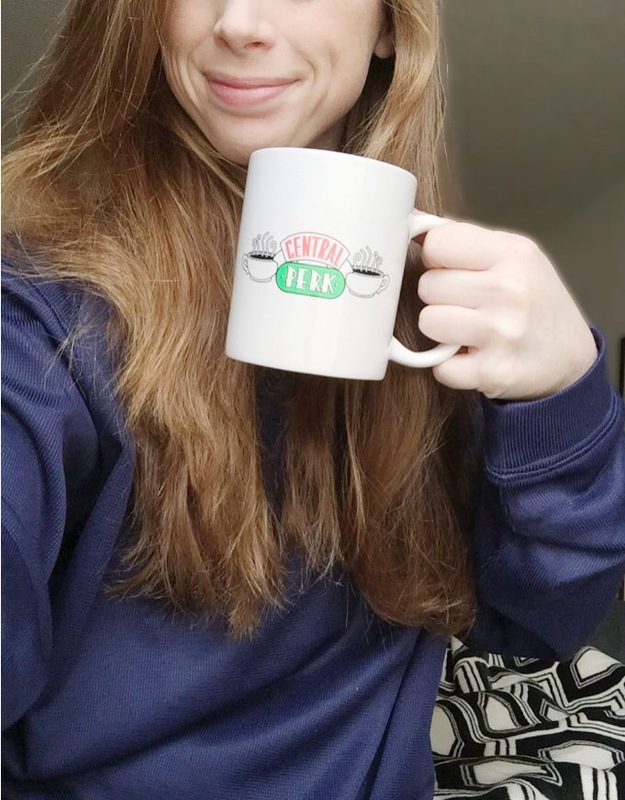 Yes, that is the famous Central Perk logo, the very same Central Perk that the best of friends gathered together and drank coffee and discussed life and laughed and sang “Smelly Cat” and other ridiculous songs. Fans of the show recognize this logo as the logo of the place to get coffee. It’s practically a pop culture icon. Sipping from this mug some mornings just helps me accept the fact that not everything’s going to be figured out and cookie cutter perfect–it’s ok to be single and struggling to figure out what you want to do in life and sometimes just plain floating in a sea of uncertainty. Those six goofy Friends ended up ok, so why can’t I? Thanks, Friends for always “being there” for me, even when I’m drinking my morning cup of goodness. *Cue Chandler’s voice* Could life be any sweeter?